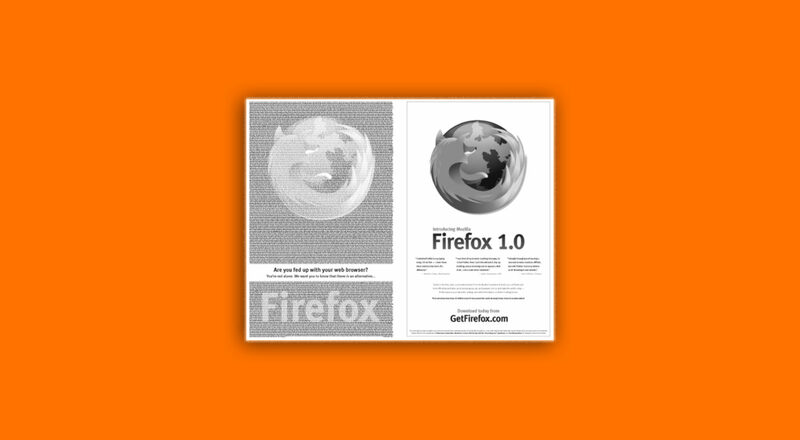 Thirteen years ago, we marked the launch of Firefox 1.0 with a crowdfunded New York Times ad. It listed the names of every single person who contributed — hundreds of people. And it opened a lot of eyes. Why? It showed what committed individuals willing to put their actions and dollars behind a cause they believe in can make happen. In this case, it was launching Firefox, a web browser brought to market by Mozilla, the not-for-profit organization committed to making the internet open and accessible to everyone. And Firefox represented more than just a new and improved browser. It stood for an independent alternative to the corporately controlled Internet Explorer from Microsoft, and a way for people to take back control of their online experience. Fast forward to today and the launch of the new Firefox browser (check out our ad in today’s New York Times). No doubt, we are bringing a new, faster and more powerful browser to market but, the reason we’re in this business still remains the same. Now, more than ever, people need tech options that are not only built to work well for the individual user but which also improve the overall tech landscape. That’s exactly what the new Firefox does. Twice as fast, and still committed to putting people over profit. We are fighting for a healthy internet and we want the Internet to be accessible and open to all. We are a community of committed individuals standing up for what we believe is right. 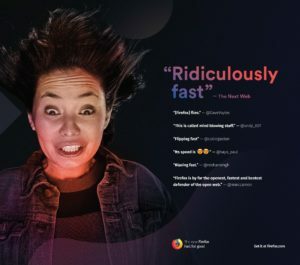 The new Firefox browser is the best we’ve put in market since Firefox first launched, and the world of marketing has changed since that initial launch so we’ve put forward our best marketing to date as well. Our research tells us that Firefox and its parent organization Mozilla are both well-known brands. Yet not enough people see a distinction between Firefox and our biggest competitor, Chrome. And even fewer people understand that Mozilla is a not-for-profit responsible for pro-Internet technologies, policies, and programs beyond Firefox. However, those who do understand the depth and breadth of Mozilla’s work view Firefox as a more iconic browser and are happier and more loyal users. So we’ve been hard at work to create a deeper understanding of Mozilla in order to create more differentiation for Firefox, and at the same time, be much clearer about what makes Firefox unique. Understanding what makes Conscious Choosers tick has helped us make some important marketing decisions and guide the new Firefox launch. 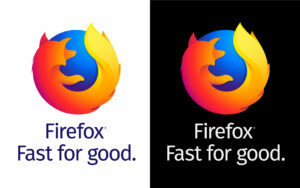 First, it led to our tagline for the new Firefox: Fast for good. This promise reinforces that with the new Firefox, there is no trade-off between performance (the “easy” choice) and purpose (the “right” choice). You get a browser that is 2x faster, and that uses 30% less memory than Chrome. A browser that’s already known for its powerful privacy options. And a browser that allows you to support a mission-driven not-for-profit too. This positioning is spread across all of our marketing materials from the website to our advertising campaigns. We think the new Firefox has to be felt to believed. So two of our creative executions that I am previewing here for you first, focused on what it feels like — and even sounds like — to use our blazingly fast new browser. We’re bringing these concepts to life in television spots and promoted videos. Wait Face. As you use the internet you’ve probably felt frustrated by the slowness of a page loading or a video buffering. Annoyance, boredom, and tiredness have become universal human expressions of waiting for stuff to happen online, and these expressions act as a foil for the new Firefox experience. We loved working with our teams of actors and directors to capture the essence of the wait face and we still smile when we watch the spots. The antidote to wait face is the new Firefox. When our actors fire it up the waiting resolves to joy and excitement as people experience the sensation of speed. The internet is theirs to enjoy. And the energy that all the teams put into this spot can be felt. 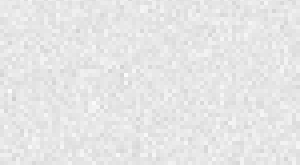 What Does Speed Sound Like? The Wait Face videos show what the new Firefox experience looks and feels like. 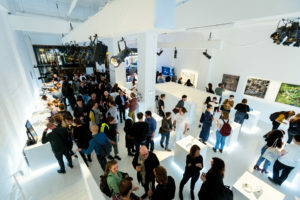 Through the creative exploration, they made us wonder how else we might demonstrate the sensation of the new product. Watching the actors interact with the music and play on their Firefox faces made us wonder if we might be able to show what slow and fast sounded like. 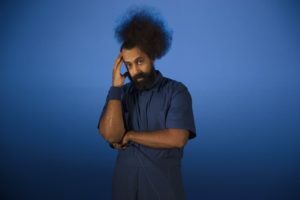 For that, we turned to the music impresario Reggie Watts — bandleader for the Late, Late Show; intellectual improv artist; and beat-box musician with a large and growing following. We asked Reggie to improvise through sound the feeling of slowness and to contrast that with the joyful speed of Firefox. Our collaboration results in a funny and memorable performance where fast has a magnetic attraction that even Reggie can’t resist. In addition to a spot for TV and digital video placement, Reggie improvised a slew of video snippets that we’ll share by a combination of different tactics from social to video bumpers and more. Our Conscious Chooser insights also led to another important component of our marketing strategy. 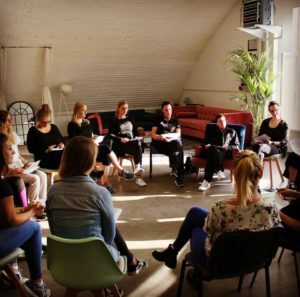 While this segment is very confident in their ability to “vote with their wallet” offline to show support of the products and services that align with their values, they can sometimes be overwhelmed and even feel defeated with how to demonstrate their values and exercise their power online. So we’ve created a series experiences that make the intangible more tangible. Our Firefox Fast Ferry literally gets New Yorkers from Brooklyn to Manhattan and back faster by offering an alternative to the slower-than-ever subway (that happens to be under repair to boot). 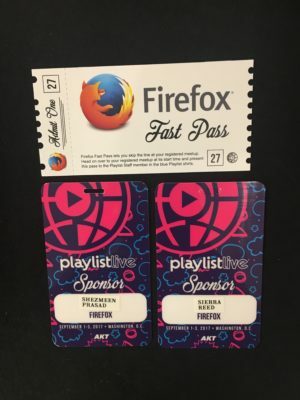 Our Firefox Fast Pass has sped up fans’ experience — and their time for fun — at events like TwitchCon, ComplexCon and Playlist Live. In addition to experiences like these that reinforce what’s special about Firefox, we’ve also invested in programs that help people understand the broader work of Mozilla, in order to add even more differentiation to Firefox. Our podcast IRL shines a light on how our online and offline behaviors impact each other. 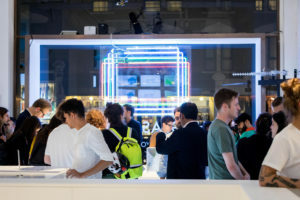 And our Glass Room pop-up has taken the somewhat boring and often intimidating idea of data privacy and brought it to life through interactive exhibits, onsite experts and easy-to-use tools that make it real and easy to make smart choices about how, where and when to share your online identity. 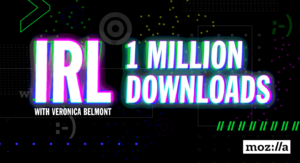 “When you use Firefox, you’re also contributing to a movement to ensure the Internet remains a global public resource, open and accessible to all. As an independent, not-for-profit organization, we’ve been committed since 2003 to building products that put you in control of your online life and advancing open technology and public policy that promote a healthier Internet. We put you at the center of everything we do. If you haven’t done so already, we invite you to check out the new Firefox browser and tell us what you think through Twitter, Facebook or Instagram.